But Drescher insists he is not sure what he is: “I’m not an outsider. 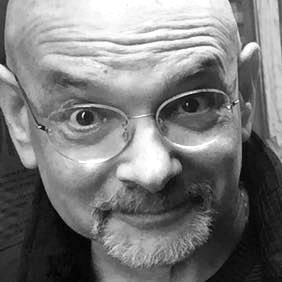 I don’t have an affinity with the ‘lowbrow' outsider movement.” He has lived in the periphery for most of his life and he is also self-taught, “so in that sense my work is outside the ‘academy,’ my talents are very circumscribed … and limited. I know very little about technique and consequently I’ve learned to adapt and create by using my deficits as my strength, this I suppose is a quality I have in common with outsider artist.” Drescher doesn‘t think about the definitions much anymore. 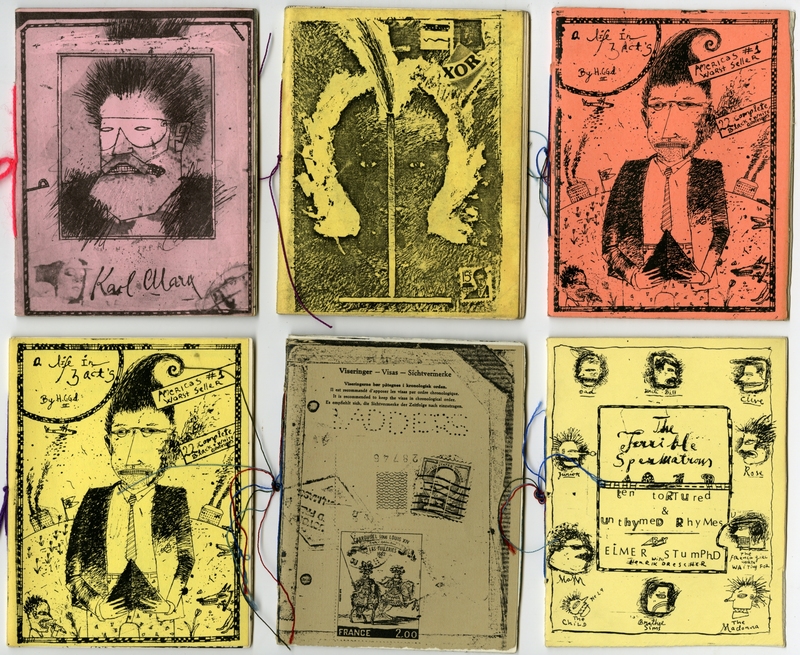 He’s always made things that were not commercial, including the booklets here, made while on his many travels and distributed through the mail. 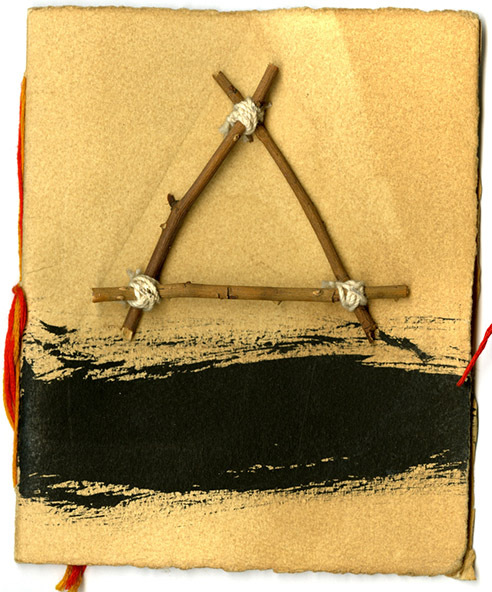 This small sampling of the handmade folios that Drescher says he’s unable to stop creating, are bound with string, photocopied, collated, and inscribed dozens of them in one sitting. 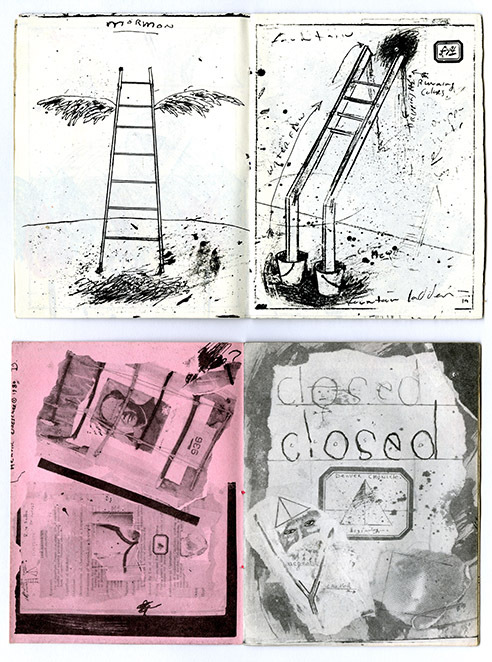 Some constitute chaotically assembled scribbles, while others are thematic tangents in pen and ink (like one on ladders and another on photos of Robert F. Kennedy). 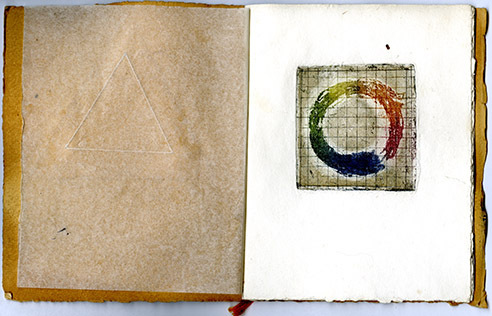 His media include books of etchings, accordion postcards (X-Ray), and many with one-off collages. Graph paper forces some measure of discipline for the making of carefree scrawls. I have never met 0r known of a more gifted, genuine, prolific, and authentic artist than Henrik Drescher. His work goes far beyond that of illustrator. Major museum curators should wake up.